Our yearly ski trip is back! 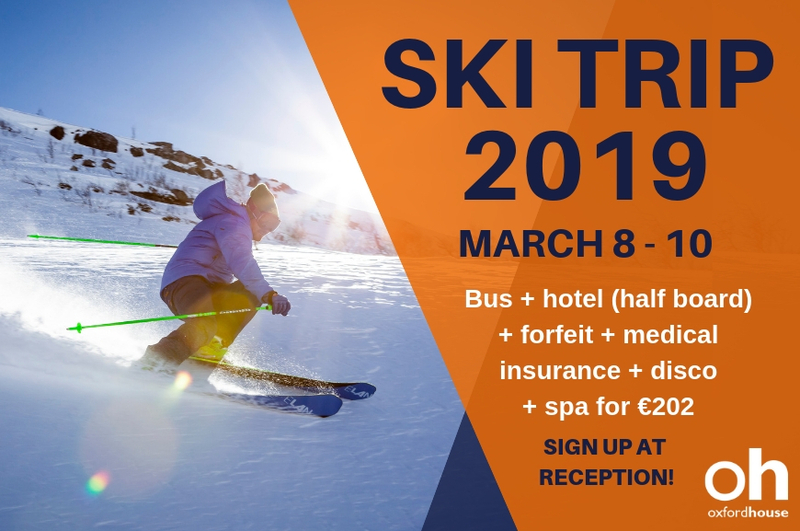 What better way to say goodbye to winter than a weekend in the snow, meeting new people, going skiing or snowboarding, picking up some bargains in the tax free shopping centres and practicing your language skills. Skiing/Snowboarding – Grandvalira (Andorra). Biggest resort in the Pyrenees with over 210km of pistes! Sleeping – Hotel Panorama 4* (Escaldes). Only 5 minutes from Caldea and walking distance to the centre of Andorra La Vella. 8 – 10/03/2019. The bus will pick us up from the school around 19.00 on the Friday and we will return late afternoon on the Sunday. Everyone is invited; students, teachers, trainees and even friends. It doesn’t matter if you are a seasoned pro or a complete beginner, there is something for everyone. Return transport from Barcelona to Andorra plus daily transfers to and from the slopes. Two nights’ accommodation with breakfast (Saturday and Sunday) and dinner (Saturday only)*. Two day lift pass for Grandvalira. Free entry to a nightclub on Saturday night. Use of the swimming pool, sauna, gym and Jacuzzi at the hotel. *Drinks not included with dinner. Ski hire – €22 (skis, boots and poles for two days). Snowboard – €31 (board and boots for two days). Beginner class – €9 (two hours on Saturday). Places are limited so sign up now to avoid missing out!